Reducing the energy required for heating and cooling is an essential element in meeting a net zero energy goal for a home. An air-source heat pump is one of the most efficient heating and cooling systems currently available. There are many variations of this technology on the market. An air-source heat pump works by taking the heat out of the air, even when outdoor temperatures fall below zero, and then moves it as hot refrigerant through a small pipe to one or more indoor units that deliver heat into the house. In the summer the process is reversed. An air-source heat pump removes heat from the home (even when temperatures get above 100˚) and delivers cold refrigerant to the indoor units. Let’s explore several variations of air-source heat pumps. Location of Air Handler – In many homes, the air handler is located in unconditioned space. One example is an air handler that is located in the attic of a home that is located in the southern climate. Unless that attic is conditioned, summertime temperatures in the attic could reach 150˚. Trying to handle and distribute air that is trying to cool the home to 72˚ becomes very inefficient. Ductwork Issues – Ductwork has similar problems. Much of the ductwork used in homes is made up of sections of metal put together to direct air through the home. These sections can separate creating leakage. In other cases, most ductwork only needs to be insulated to an R-value of R-8. This small value means that ductwork placed in the unconditioned attic in the previous example is losing much of its cooling capacity before it ever has the chance to get to the room it is intended to cool. The system has to work much harder to overcome the issue with ducts. A mini-split is a heat pump system that gains much of it efficiency by eliminating the primary point of inefficiency found in traditional heat pump systems – the ductwork. A mini-split is known as a ductless system. Mini-splits can greatly reduce the heat and energy loss common among ducted systems. Mini-splits are comprised of two main components. A compressor (or condenser) is located outside of the home, while an air-handling unit (or cassette) is outfitted indoors. These separate components are linked via a conduit, which consists of a power cable, condensate drain, refrigerant, and suction tubing. In most installations, there will be multiple air-handling units. Each one of these units contains an associated thermostat. When it comes to adequately heating individual rooms or zones within a home, mini-splits with heat pumps are highly effective. Efficiencies are gained by placing individual air-handling units or cassettes each room or zone in a home. These units can then be adjusted to heat only those rooms which are currently being occupied or used. This is different than conventional heating methods, which provide heat uniformly throughout a home. The biggest disadvantage of a mini-split, noted by many consumers, is the appearance of the air-handling units. It reminds many would-be home buyers of that unit found in most hotel rooms. However, today there are many options for style and placement of the air-handling units. In many installations, they are placed in the ceiling and look more like a vent or diffuser that is found in traditional heating and cooling systems. Geothermal Heat Pumps Put the Earth to Work. A geothermal heat pump, also known as the ground source heat pump, is a highly efficient technology used for space heating and cooling, as well as water heating. The main benefit of ground source heat pumps is that they absorb naturally existing heat, rather than producing heat through the combustion of fossil fuels. Were a traditional heat pump system uses air, a geothermal system relies on the fact that the earth, below the surface, remains at a relatively constant temperature throughout the year, warmer than the air above it during the winter and cooler in the summer, much like a cave. The geothermal heat pump takes advantage of this by transferring heat stored in the earth or in ground water into a building during the winter, and transferring it out of the building and back into the ground during the summer. The ground, in other words, acts as a heat source in winter and a heat sink in summer. Because geothermal doesn’t use air to transfer heat/cold, there is no large, noisy compressor(s) that has to be placed outside of a home. A series of connected pipes, typically called a “loop,” is buried in the ground near the building to be conditioned. A geothermal system will consist of multiple loops. Each loop can be buried either vertically (in a well) or horizontally in a trench that typically 6 feet deep. A fluid (water, or a mixture of water and antifreeze) is circulated in each loop that absorbs heat from, or transfers heat to, the surrounding soil, depending on whether the ambient air is colder or warmer than the soil. For heating, a geothermal heat pump removes the heat from the fluid in the earth connection, concentrates it, and then transfers it to the building. For cooling, the process is reversed. Inside the home, a conventional ductwork system is typically used to distribute heated or cooled air from the geothermal heat pump. There are other systems available that eliminate the inefficient ductwork found in traditional heat pump systems. Instead of leaky conventional ductwork, flexible supply tubing or sealed ducting is fitted into wall cavities, ceilings, or floors. These systems are typically much smaller than traditional heat pump systems. Because they don’t have to compensate for the energy loss of traditional ducts, they are also much more efficient. Two systems on the market today have slightly different operating characteristics that home buyers can explore to determine which one is best for their situation. Unico offers a high velocity system while Dettson offers a low velocity system. When deciding on which system is right for you, it is best to enlist the services of a qualified Heating, Ventilation, and Air Conditioning (HVAC) expert. 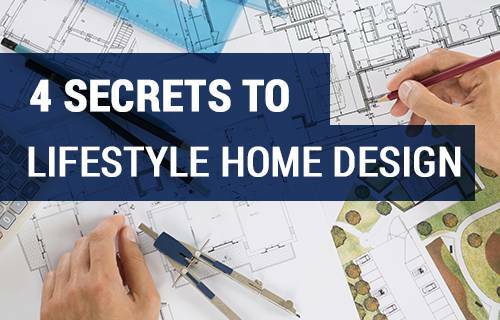 They will help you determine what system is right for your home, your budget and what size is best for your situation (bigger isn’t always better!). Creating the most energy efficient heating and cooling system starts with creating a home that has a tight building envelope. Modular homes can be much more energy efficient than their site built counterparts. Modular construction is a building system. By using a consistent system to build your home, details that are often overlooked in traditional construction are managed and done properly in a factory environment. Building a home to a high performance standard is almost a by-product of building indoors. Modular takes home construction to the next level. Modular means more!